Review - Is the Mercedes-Benz S Class the best car in world? ‘Often imitated, but never equalled’ is a fitting phrase for Mercedes’s flagship luxury sedan, the S Class. So just how good is the 2014 S Class? The 2014 S Class impresses with its classy and elegant design. Designers cannot afford to take risks with their flagship products. Keeping this in mind, the S Class appeals to both, its grey-haired company CEO and the middle-aged businessman who wants to announce his success to the world. 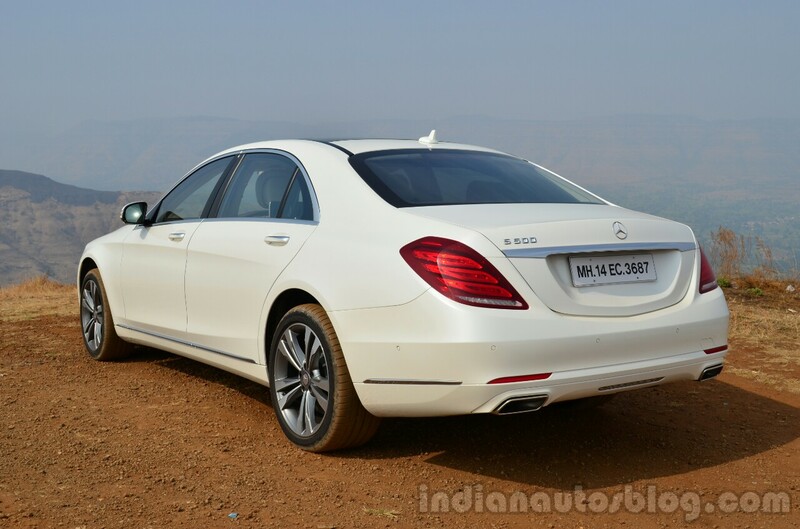 India gets the long wheelbase version of the S Class which has an additional 130 mm of wheelbase length. As for the rear, we love the integration of the taillights in the body of the car, and we’re equally enthused that Merc decided to have this design feature on the new 2015 C Class as well. 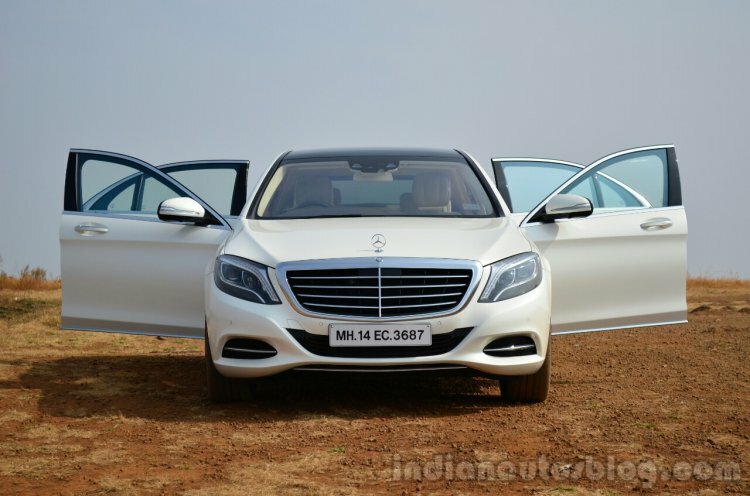 To sum up the exteriors of the S Class, the front end is opulent, the side profile is classy and the rear looks modern. Only wood, metal and leather used for construction of this cabin. It’s a pretty tough job to integrate the dashboard and the center console of a high-end car given the plethora of features/options available. With this respect, Mercedes have done a fantastic job in keeping the layout as simple, and yet, elegant as possible. It would take you barely half a day to learn about all the buttons and understand what they do. 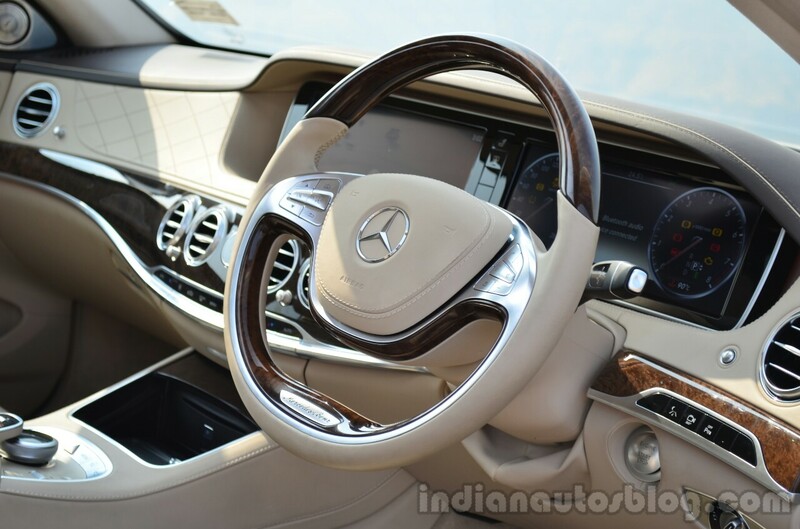 The two-spoke steering wheel has one of the most beautiful fonts of ‘Mercedes-Benz’ ever seen. 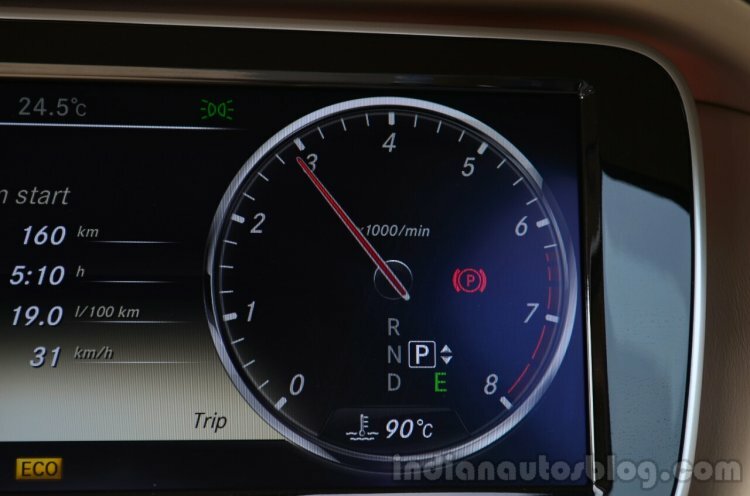 The instrument cluster above is actually an LCD screen, mounted right next to another screen used for the COMAND system. The same cabin with one of the seven ambient lighting colors on board. According to Mercedes boss, Dieter Zetsche, the interior of the S Class was crafted only from wood, leather or metal. As a result, build quality and fit-and-finish are top-notch. India gets the long wheelbase model with 130 mm of extra legroom. Coming to the most important part of the review, the rear seat experience. The seats themselves are nothing short of extraordinary. They seem to be executed to rival several Italian sofas, which is high praise. Adding to this experience is the Air Pillow, which is nothing but a cushion added on the headrest. Once your neck rests on this pillow, the other functions (listed below) follow automatically. Massage function available on rear seats. First, the front seat can be moved all the way forward, and once it reaches its maximum position, a small footrest pops down allowing you to place your legs (a-la Audi A8 feature). Then, the rear seat reclines by a few degrees putting you in a very comfortable position. A remote control then activates the massage function on your seat (six different types of massage with a hot-stone massage which heats up your back!). You’re now set to handle those business calls, or by removing an aluminium table positioned in the compartment next to you, you can work on your computer as well. The rear seats as such are well executed and the discerning rear seat owner will not have anything to complain about. 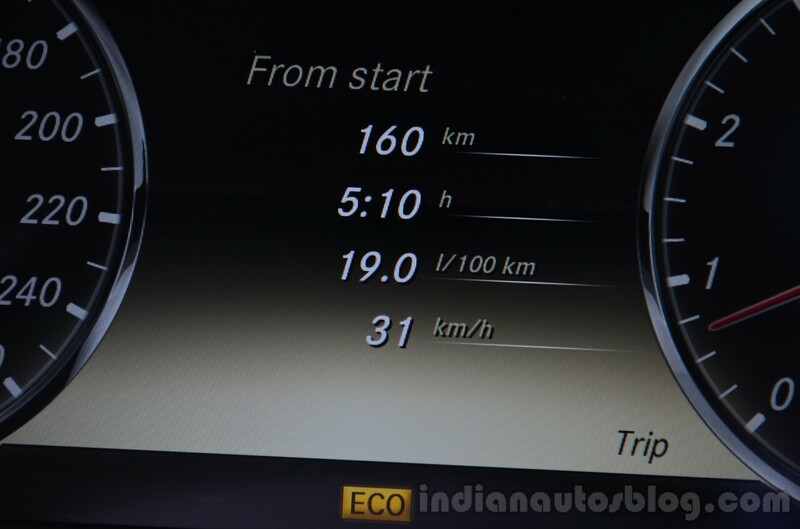 This petrol engine will be locally assembled in India on future S Class models. 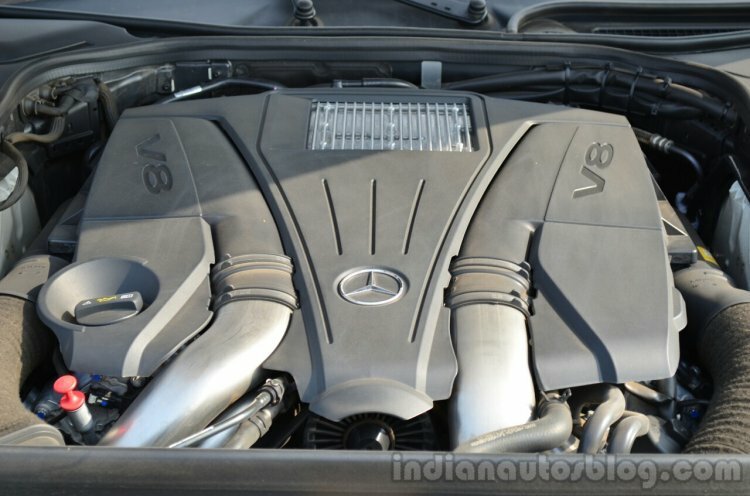 For now, Mercedes will only sell this 4.7-liter V8 petrol powered S Class. The engine is the perfect example of Dr. Jekyll and Mr. Hyde, as it does have multiple personalities. With your foot gently down on the accelerator, the engine tugs forward the car in the classy manner it is supposed to. Gearshifts are hardly perceptible thanks to the 7-speed dual-clutch unit which functions like a dream. Put your foot down on the right-hand side pedal though and this motor snarls all the way to its redline like a sportscar, and the S builds speed with aplomb. However, this is not the most impressive feature of this engine. No, the most impressive would be the way the S Class handles this power. You would be led into thinking that you’re doing a mere 80 km/h, when in fact you’re actually doing double. Sense of speed it seems, is not what you feel in the S Class. Engine is a pure gem on the S Class. For the record, this version of the S Class produces 448 hp and 700 Nm of torque. It does 0-100 km/h in 4.8 seconds and onwards to an electronically limited top-speed of 250 km/h. 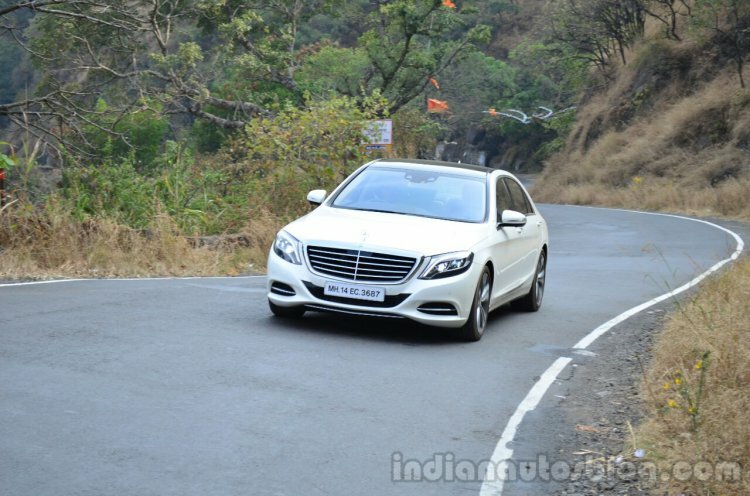 India gets the S Class with its AIRMATIC suspension. Magic Body Control (MBC) is not offered in India as the system uses a radar to monitor road irregularities, something the Indian government does not allow in civilian vehicles. Even with the government willing, a Mercedes S Class product manager told Indian Autos Blog that he would not recommend MBC for Indian road conditions. Gearbox and suspension have their respective sport/comfort modes. 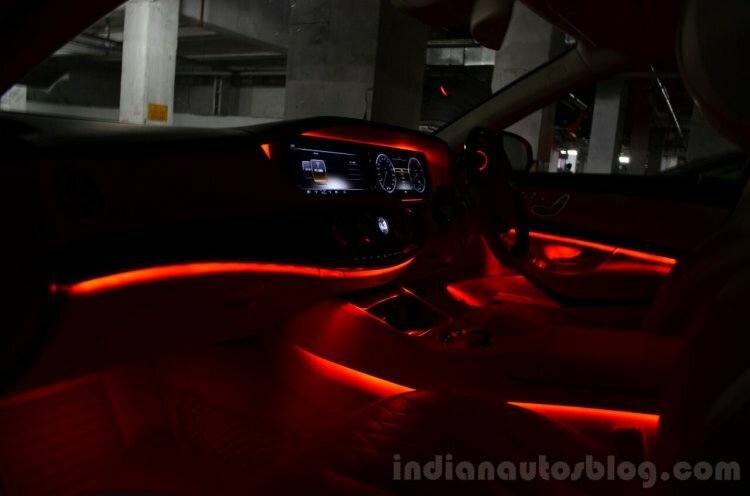 The AIRMATIC system in the Indian S Class is a bit strange. One road for example, which easily could upset a regular hi-end car, was taken by the S Class without so much as a flinch. Yet, sudden road irregularities easily filtered into the cabin of the car. It seems that the AIRMATIC is tuned to handle only certain types of bad roads. This is by no means the best suspension in the world, that’s for sure. We don’t expect Indian S Class owners to get behind the wheel and throw this car into a corner. But for those of them who do, they'll not be disappointed. For a car measuring 5.24 meters in length and 2,000 kg in weight, the S Class has one of the best steering systems fitted in a car. It is surprisingly direct, perfectly weighed and pin-sharp accurate (we would even call it sporty!). Two-spoke steering may not look sporty, but performs flawlessly. As for the handling, it may not be as responsive or agile as a 7 Series, but the S is surprisingly willing to try. 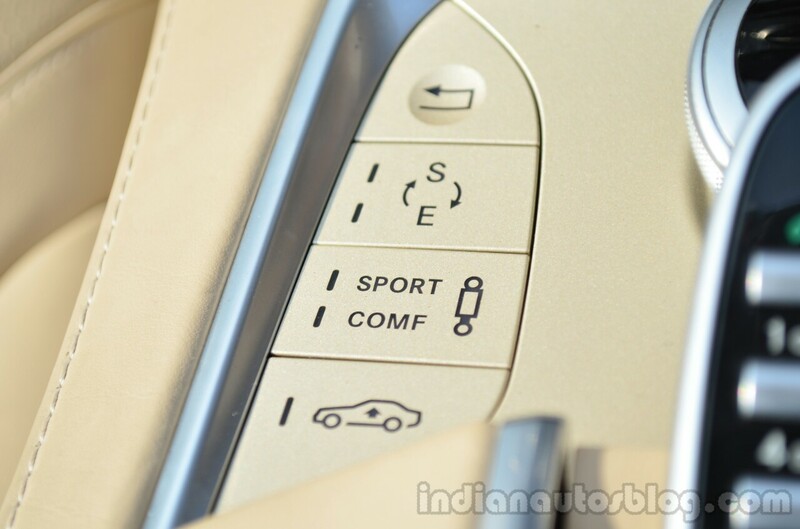 Through a button located on the center console, the suspension of the S Class can be firmed up or softened down, though we expect the latter in case of Indian owners. 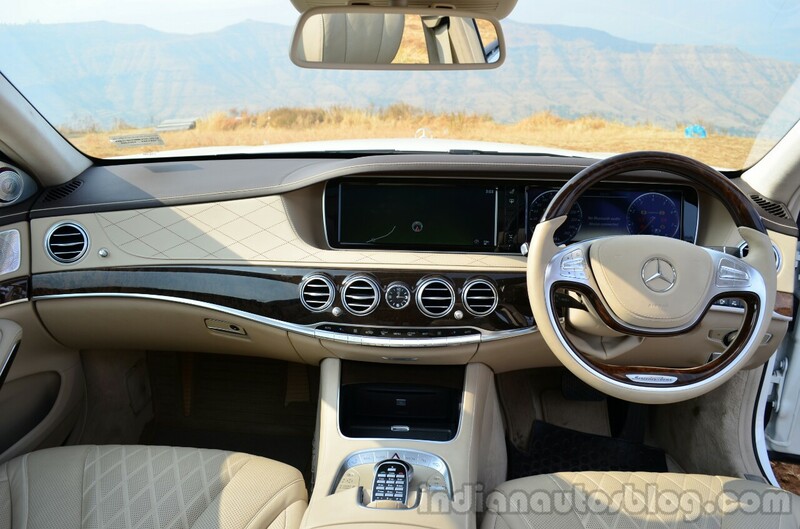 The S Class averaged a figure of 5.2 km/l, which is not really all that bad considering its 4.7-liter V8 engine, its massive list of luxury options and the 2 tonne weight of the car. Cars such as the S Class are connoisseur’s choices. In this case, the connoisseur cannot afford a Rolls Royce Ghost and must choose between the Mercedes, Audi, BMW and Jaguar. In the earlier days, you would have to pick the S Class. Now though, it really doesn’t matter what you choose, as all these four cars are evenly matched - the 7 Series apart from being sporty offers more rear legroom than the S (it may not be as comfortable), the XJ speaks the language of design and execution and the A8 offers more features than you need. New S Class certainly edges out its rivals. But the question is, are sedans its only rivals? For the rear-seat only user, the S Class edges out its competition, but only just. Is the 2014 Mercedes S Class the Best Car in the World? No. At least not the 2014 S Class sold in India. In order to be the ‘Best Car in the World’, we were looking for something unique, but this was something we never found in the S Class we drove. The features? The music system has more speakers than you need, the seats massage you in six different ways, the mood lighting looks classy and there are more airbags than you can count. But whatever was mentioned can be described about any high-end car these days. Yes, we like the design of the S Class, but then the Jaguar XJ looks better. The engine with its dual characteristics is brilliant..but maybe the 6.6-liter engine used in the Rolls Royce Wraith would be better. The ride of the S Class is near perfect, but the Range Rover’s is perfect. 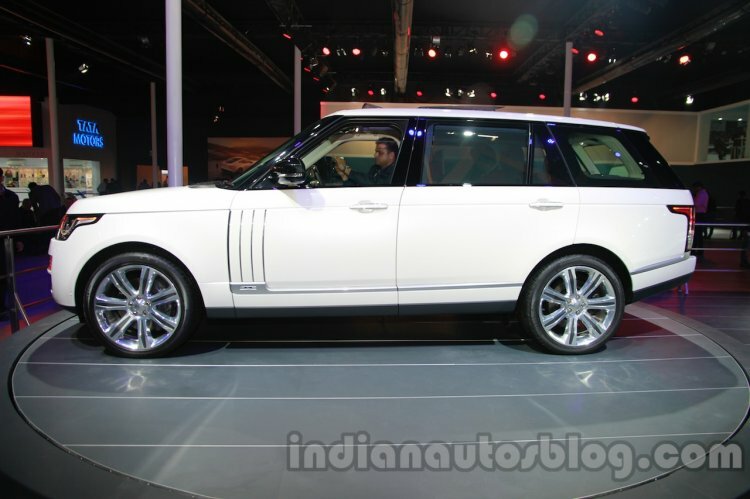 And that neatly brings us to the Range Rover, which we think has taken over this prestigious title. It may be a taboo to say it in Germany, but the Brit’s have perfected the ride of the Rangie better than Mercedes. They didn’t just stop there, the all-new Terrain Response system is in a different world of its own. And as if to target the new S Class, a long wheelbase Range Rover was launched in international markets late last year (and in India at the Expo). 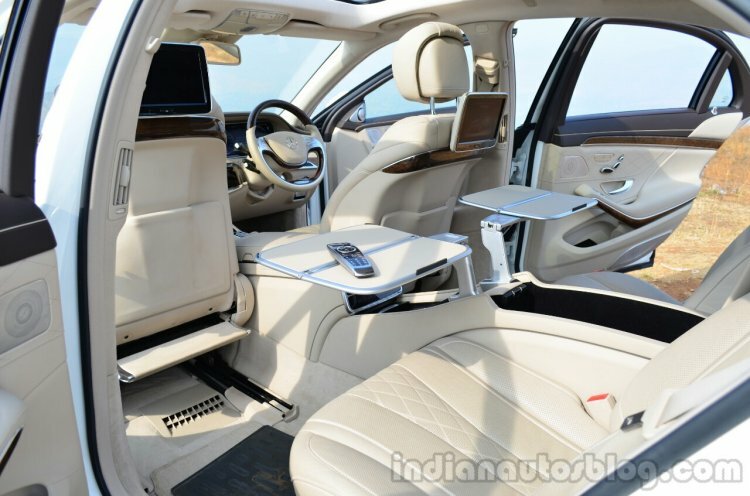 And as if to mock its sedan rival, the Rover L gets electrically deployable tables, while the owner of the S Class has to burn calories to use theirs. Best Car in The World would be the Range Rover L, according to us. Maybe the S Class sold in international markets with its Magic Body Control (MBC) system, Steering assist system, DISTRONIC system (this is what we mean by revolutionary/unique features) can put up a fight with the Range Rover. But until Mercedes is able to launch these features in India, our money is on the Range Rover.